This is the first of the authors' four books dealing with the mid-life crisis. At mid-life, each of us is faced with crucial questions: Will I or will I not hold fast to the security of the familiar? Will I or will I not go on living the second half of life out of the same meanings, values, and goals as I did in the first half of life? Will I petrify? Will I regress? 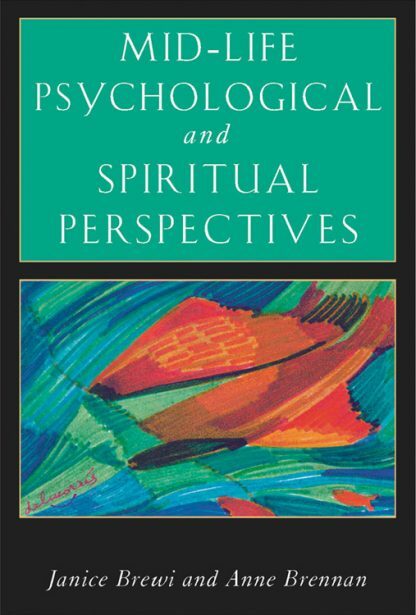 Using Jungian personality theory and the Christian doctrines of creation and incarnation, this book integrates theories from adult development psychology with the ancient wisdom and modern methods of theological reflection. It concretely explores ways of recognizing and naming the ongoing stories that form the structure of our lives, for narrative can sustain one through the hiatus between the first and second halves of life. The book also encourages the reader to experience prayer and meditation as creative ways through the faith crisis of the mid-life years. In a variety of ways, Mid-Life Psychological and Spiritual Perspectives will speak to a variety of readers engaged in negotiating a time of crisis--a crisis which, if creatively met, can culminate in a new dynamism.